ISRAEL IS MY SON, EVEN MY FIRSTBORN, SAITH THE LORD. Shalom. Our teaching this morning will continue in Torah, GOD’S Law of Moses, from Numbers 8.14-26. AND THE TITLE OF OUR MESSAGE IS, ISRAEL IS MY SON, EVEN MY FIRSTBORN, SAITH THE LORD. And with that said, let’s read Numbers 8.14-26. NUMBERS 8.14-15 As GOD commanded Moses, the Levites were purified by sprinkling water of purification upon them. Becoming free of their sins in the eyes of GOD as long as they continued to fear The LORD THEIR GOD, walk in all His ways, and love The LORD THEIR GOD with all their heart and all their soul. And keep the Commandments of The LORD. His Statutes, Laws, Teachings and Instructions that are written in The Law of Moses. And the Levites washed their clothes, and Aaron offered the Levites as an offering to The LORD. That is to say, the Levites were offered to The LORD because they were chosen by GOD to do the Service of The Tabernacle, and the Service of The LORD. That included teaching the People the pure Word of GOD that The LORD had commanded through Moses. And Atonement was made for the Levites by sacrificing a number of bulls. And again, the sprinkling of water of purification upon the Levites was the beginning of baptism and miqveh immersion. NUMBERS 8.16-18 The LORD GOD said in Verse 16, “For the Levites are wholly given to Me.” The Hebrew for “wholly given” as in the Levites are wholly given to Me, is N’TU’NEEM N’TU’NEEM meaning, The Levites are totally and entirely given to The LORD. Thus the Levites are wholly given to The LORD in place of the Firstborn of the Children of Israel. GOD has taken the Levites to be His. However The LORD says in Verse 17, The Firstborn of the Children of Israel continue to be Mine. They are Mine, saith The LORD, both man and beast. That is, both Firstborn Jewish Child and firstborn animal belongs to The GOD of Israel. Thus the Levites are also GOD’S Firstborn. Given to the LORD to do the Service of The LORD THEIR GOD. To do the Service of The Tabernacle. And to teach Torah to the People, the Pure Word of GOD from the Law of Moses. GOD made the Firstborn of Israel His on the day that He killed every firstborn Egyptian in the land of Egypt in the evening of the first Passover. GOD killing all the Egyptian firstborn led to the freedom of the Children of Israel from 400 years of Egyptian slavery 3,400 years ago. The LORD brought some three million Jewish People out of Egypt on the first day of the first Passover. And led by Moses at the Command of The LORD, the entire House of Israel proceeded on their forty year journey to the land of Canaan which is today the Land of Israel that GOD has given to the Jewish People for an everlasting possession. But yet billions in the world, many having Bibles in their homes, strive vigorously in opposition to deny the Jewish People their right to their GOD-Given homeland, the Land of Israel. They fight against Israel and the Jewish People with wars, crusades, pograms, inquisitions, holocaust, Arabs, Palestinians, replacement theology, phony peace treaties. They demand Israel give up land for peace as in Gaza and southern Lebanon. But Israel receives rockets and war, and death in return. They demand two state solutions to weaken Israel to an enemy whose charter is to wipe Israel and the Jewish People off the face of the earth. They war against Israel with anti-Semitism, B.D.S. That is boycott, divest, and sanction Israel. The European Union, the United Nations, intifadas, jihads, deceitful, lying propaganda, anti-Semitic college professors, anti Israel college professors, satan, etc., etc., etc., all striving to destroy Israel and The Jewish People. The anti-Semites condemn Israel for defending herself, or condemn Israel for using disproportionate action in defending her very survival. But Israel and the Jewish People live. GOD says, “The Jewish People shall remain before Me as long as the new heavens and the new earth shall remain before Me.” And that is forever. 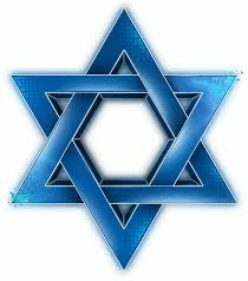 Israel and the Jewish People are Eternal and Israel will continue to be the Homeland of the Jewish People for as long as the earth remains. The enemies of the Jewish People and Israel fight against us. And those who fight against Israel and the Jewish People fight against GOD. Good luck. Because everyone who fights against GOD will fall. Let’s continue with the Firstborn. Do not confuse the Firstborn with the firstfruits. The firstfruits are the first and best fruits and crops of the harvest. Since the Firstborn of the Jewish People belong to GOD, how were their parents able to buy their child back from The LORD? When the Temple was standing, those Firstborn children from one month old were redeemed by paying the Priest five shekels after the shekel of The Sanctuary. But the firstborn male animal such as a cow, or sheep, or goat was sacrificed to The LORD. Their blood was sprinkled upon the altar for a sweet savor to The LORD. Today Judaism has a ceremony called PID’YON HA BEN, meaning the redemption of the firstborn. The child’s parents buy back their child from The LORD by paying a price, usually five dollars. And the money is given to a descendant of a Priestly family, or returned to the father, or given to charity. Let’s look at some Scripture that address the Firstborn. MICAH 6.6-8 In a reply to GOD, the Jewish People propose to make up for their sins with sacrifices and rivers of oil. Even giving their Firstborn for their transgressions. But GOD tells us what He requires. To do justly, and love mercy, and walk humbly with our GOD. That is, obey The LORD YOUR GOD by obeying His Law of Moses. Love mercy, and walk humbly in submission to your GOD. MATTHEW 1.24-25 Yeshua The Messiah is the Firstborn son of Miriam. GOD naming Israel His son, even His Firstborn reflects GOD’S special attachment to Israel and the Jewish People, and all the Firstborn of GOD. HEBREWS 12.22-23 Here, the writer speaks of the eternal family of GOD, His Firstborn who will spend eternity with Him in The Kingdom of Heaven. Also called Mount Zion, The City of The Living GOD. The Heavenly Jerusalem having an innumerable company of angels. The general assembly is a large group of GOD’S Firstborn who are written in Heaven. The spirits of just men made perfect are the Firstborn of GOD. Men and women who feared the LORD THEIR GOD. Who walked in all His ways. Loving Him, and serving Him with all their heart and with all their soul. Who were righteous on earth, law-abiding, living according to the Commandments of GOD, His Torah, His Law of Moses. Having Atonement in The Messiah Yeshua. They are the spirits in Heaven made perfect. The Church is not the firstborn of GOD because the Church teaches with gusto to reject GOD’S Law of Moses that contains all GOD’S Laws, His Teachings, and Instructions. The Church is not the firstborn of GOD because most Churches teach that Messiah Yeshua, Jesus Christ is not The Father but another god. The Church is not the firstborn of GOD because the Church teaches replacement theology. That the Church has “replaced” Israel as GOD’S Firstborn, inheriting all GOD’S promises, blessings and hope that GOD promised Israel. Teaching that the Church has “replaced” Israel and the Jewish People. Does the Church really believe that when they come to GOD The Judge of All, He will say to them, Well done My good and faithful servant? No. He will say, you have rejected My Laws, Teachings, and Instructions. You have rejected My Sabbaths. You have made Me another god. And you have replaced My Jewish People in favor of yourself. GOD will NOT say to the Church, well done My good and faithful servant. And the correct words for Church of the firstborn as written in Hebrews 12:23 is Congregation of the Firstborn. Messiah does not say Salvation is of the Church. Salvation comes from the Jews because Salvation comes from observing and doing every Word that GOD spoke to the Jewish People in The Bible, and all that He commanded them to do. And having Atonement in The Jewish Messiah Yeshua for the forgiveness of sins. That is GOD’S Plan for Salvation for everyone, Jewish People and Gentiles. Then when the time comes, you will be spirits in Heaven like Yeshua The Messiah, GOD ALMIGHTY, with joy, and gladness, and songs forevermore. And sorrow, and pain, and sighing will flee away forever. Posted on March 20, 2016 March 21, 2016 Categories Shabbat MessageLeave a comment on ISRAEL IS MY SON, EVEN MY FIRSTBORN, SAITH THE LORD. WITHOUT THE TEACHING OF TORAH, THE LAW OF MOSES, AND WITHOUT OBSERVANCE OF THE LAW OF MOSES, PEOPLE FALL INTO PAGANISM AND GODLESS BEHAVIOR. Shalom. Our teaching this morning will continue from Torah, The Law of Moses from Numbers 8.9-15. And the title of our message is, WITHOUT THE TEACHING OF TORAH, THE LAW OF MOSES, AND WITHOUT OBSERVANCE OF THE LAW OF MOSES, PEOPLE FALL INTO PAGANISM AND GODLESS BEHAVIOR. So with that said, let’s read Numbers 8.9-15. During TNAKH times, that is to say, during Old Testament times, the Levites taught the People The Law which in Hebrew is The Torah. GOD’S Laws, Teachings, and Instructions that are written in The Law of Moses in the first five books of The Bible. GOD ordained the Levites to teach His Law to the People. That is His Torah, The Law of Moses that is written in Genesis, Exodus, Leviticus, Numbers, and Deuteronomy. Rabbi, meaning My Master, is an honorific term that was originally used in The Land Of Israel to address sages, but it has gradually developed into a title for any person qualified to render decisions on Jewish Law. The word rav in Hebrew from which Rabbi is derived, means great or distinguished in Biblical Hebrew. The Rabbi must be steeped in Talmudic and Rabbinic literature to be admitted to full Rabbinic honors. And they must sit for an examination in Talmud and codes. Talmud has numerous laws. Many man made laws together with pure Scripture-based Laws, Teachings, and Instructions of GOD written in TNAKH, The Old Testament. But with changes and additions. No where in The Bible does GOD authorize anyone to change His Word. To make additions to it, or to diminish from it. (Genesis 18.7-8) Rabbinic law forbids eating milk and dairy together. (Exodus 35.3) Rabbinic interpretation of this Law holds that the prohibition does not forbid letting a previously kindled fire burn on the Sabbath. However GOD’S Law prohibits the use even of previously kindled fire. (Leviticus 23. 5-8) GOD’S Law calls for Passover to be a seven day Holiday. Yet the Rabbis have made it an eight day Holiday. (Leviticus 23.23-24) Rosh Ha-Shanah, or the New Year is the name given to GOD’S Festival by the Rabbis in Rabbinic Law. However GOD names His Festival, A Memorial Proclaimed With The Blast Of Horns. The Rabbis made this Day a two day Festival, but GOD made it a one day Festival. Rabbis unfortunately teach The Jewish People to reject their Jewish Messiah Yeshua. And Rabbis do not teach that Elohim is Yeshua The Messiah, Ha Shem, GOD ALMIGHTY. ISAIAH 9.5, (Christian Bible Isaiah9.6) Micah 5.1, (Chrisitian Bible Micah 5.2), Elohim. That is a major problem in the sight of GOD. Micah 5.1(2) Reads in Hebrew that out of Bethlehem Ephrathah, that is Bethlehem, shall come forth unto Me (GOD) whose origin has no beginning or end. The only One Who has no beginning or end is GOD, Who is The Jewish Messiah Yeshua, The One GOD of Creation. The Jewish People were sent into exile by the LORD OUR GOD in 722 BCE and 586 BCE because of diobedience to our GOD. However, The LORD GOD, THE GOD OF ISRAEL, YESHUA THE MESSIAH in His Mercy will bring Salvation and Deliverance to His Jewish People at His Return from Heaven and bring a multitude of His People into the Land Of Israel, The Kingdom of God on earth for 1,000 years that will be like the Garden of Eden. EZEKIEL 37.9-14, DEUTERONOMY 30.1-3, ETC. (MATTHEW 23.3) Correctly translated – Whatever Moses, i.e., The Law of Moses commands you to observe, that observe and do. It is thought that the Levites taught in some of the Synagogues during New Testament times. However, and it is important to note, the Rabbis teach obedience to Torah, GOD’S Law of Moses but with some changes together with the multitude of their Rabbinic laws. And they teach the Truth of One GOD, and Only One GOD. Jews are taught from the womb that there is Only One GOD and no others. But unfortunately when Jewish People join certain Messianic Congregations, or attend most Churches, they are taught to believe in the trinity of three different gods. The father is a god, the son is a god, and the spirit is a god. And that is blasphemy. And these same Jewish People are also taught in most Messianic Congregations and ALL Churches to reject GOD’S Law of Moses. That is a serious problem for those Jews and Christians. All mainstream Rabbis throughout the world teach the Laws, Teachings, and Instructions of GOD ALMIGHTY with their changes and additions. But they have made The Torah of great importance To the Jewish People. paganism is nowhere found in their Talmudic teaching. GODless behavior is the responsibility of the individual Jewish Person, and not the responsibility of the Rabbi. On the other hand, Christianity, and most Gentiles, and all the nations of the world, EXCEPT Israel and the mainstream Synagogues worldwide, do not teach GOD’S Laws, His Teachings, and His Instructions that are written in The Law of Moses. And Christians are taught NOT to obey The Law of Moses in the Church and in most Messianic Congregations. And overwhelmingly, Gentiles do not observe GOD’S Law of Moses causing them to fall into paganism and GODless behavior. paganism and heathenism are one and the same. paganism and heathenism are being ungodly by not observing GOD’S Laws, Teachings, and Instructions that are written in The Law of Moses. And believing in more than one GOD. The trinity is pagan because it teaches three gods, each being a different god. When it is said that Yeshua or Jesus is GOD but He is not GOD The Father, that is paganism, the doctrine that there is more than one god, or many gods. And that is not Biblical. It is evil. One GOD is one GOD, not three different gods, each being a god. The word heathen in Hebrew is GOYEEM meaning Gentiles, a foreign non Jewish nation or a non Jewish person, heathen, pagan, non Jewish nations. The only way to escape paganism and GODless behavior is to live by Torah, GOD’S Law of Moses. And confirm that the teachings you receive, and your way of life agree with Deuteronomy 6.4, the foundation of GOD’S teachings for all mankind, Jew and Gentile alike. There is only ONE GOD, and Yeshua The Messiah is that ONE GOD. He is GOD ALMIGHTY. If you are living by every Word that proceeds out of The Mouth of GOD, Luke 4.4, and believe in ONE GOD and NOT the trinity. And have Messiah Yeshua for your Atonement, Mark 10.45, paganism and GODless behavior are nowhere to be found in your life. You are a chosen child of GOD. Let’s return to Numbers 8.9-11. NUMBERS 8.9-11 After the Levites were sprinkled with water of purification, that was the beginning of baptism, and the Levites were free from their sins in the sight of GOD, as long as they continued in Torah, the Children of Israel laid their hands on the Levites before the Tabernacle of the Congregation before The LORD. And Aaron offered the Levites before The LORD for an offering from the Children of Israel that they may do the Service of The LORD. That is to say, the Levites were dedicated to The LORD to do the Service of the Tabernacle. Which also included teaching all GOD’S Statutes, Laws, Teachings, and Instructions that The LORD has spoken to the Children of Israel by the hand of Moses. NUMBERS 8.13-15 GOD said, The Levites shall be Mine. The sole purpose of the Levites was to do the Service of The LORD. And that included the responsibility of teaching the People about GOD, and all His Laws, Teachings, and Instructions. And to do the Service of the Tabernacle of the Congregation. The Levites camped around the Tabernacle guarding it from danger. And they were prepared to give their lives to protect the Tabernacle. They served the Priests, leaving them free to do their Priestly duties of serving GOD. And they handled the Tabernacle and all its contents after they were wrapped by the Priests. And they transported the Tabernacle and all its items during their forty year journey to The Promised Land. When Israel became a divided Kingdom, Israel to the north, and Judah to the south, Abijah, the king of Judah stood upon Mt. Zemaraim, a mountain in Mt. Ephraim in the northern Kingdom, and called out to Jeroboam, king of the northern Kingdom of Israel. You have cast out the Priests of The Lord and the Levites and have replaced them with your priests. Without GOD’s teaching of The Law of Moses, and without observance of The Law of Moses, people fall into paganism and GODless behavior no matter whether they believe in Jesus or not. Those who reject The Law of Moses certainly turn to paganism and lead a GODless life. Posted on March 13, 2016 March 16, 2016 Categories Shabbat MessageLeave a comment on WITHOUT THE TEACHING OF TORAH, THE LAW OF MOSES, AND WITHOUT OBSERVANCE OF THE LAW OF MOSES, PEOPLE FALL INTO PAGANISM AND GODLESS BEHAVIOR. BAPTISM IN TABERNACLE AND TEMPLE TIMES. Shalom. Our teaching this morning from Torah, The Law of Moses, will continue in Numbers 8.5-8. REMEMBER, THE LAW OF MOSES CONTAINS ONLY THE LAWS, TEACHINGS, AND INSTRUCTIONS OF GOD ALMIGHTY, HA SHEM, YESHUA THE MESSIAH FOR JEWISH PEOPLE AND ALL MANKIND TO LIVE BY. ISAIAH 43.10-12. The title of our teaching is, BAPTISM IN TABERNACLE AND TEMPLE TIMES. And with that said, let’s read NUMBERS 8.5-8. The beginning of what Christianity calls baptism, and Judaism calls miqveh immersion began some 3,400 years ago from GOD’S Instructions in Torah, The Law of Moses. During Tabernacle and Temple times, the Priests and the Levites were also required to shave their flesh, and wash their clothes, and sacrifice an animal for a sin offering. Those requirements will be reinstated for the Priests and Levites when the Temple is rebuilt in Jerusalem. But today, they are not part of the baptism or miqveh immersion process as you know. Okay. Question? What is it we need to do when we come to faith in The Messiah Yeshua? Of course everybody knows, but let’s review it anyway. Acts Chapter 2 speaks of thousands of Jewish People from all over the world who were gathered together in one place in Jerusalem during The LORD’S Festival of Shavuot, also called Pentecost. The time was fifty days after The Messiah’s Death, Burial and Resurrection. Now, those who called out and asked, “What shall we do?” were of course the 3,000 Jewish People who at that moment came to belief in their Jewish Messiah Yeshua. As a point of information, those 3,000 Jewish People never converted to Christianity. They never came into the church. They very happily remained Jewish. Nor did Jesus ever convert to Christianity. He was Jewish then. He is Jewish today. And He will be Jewish forever and ever. Here’s one of the forks in the road where Christian doctrine departs and falls away from GOD’S doctrine taught in The Bible. THE FIRST THING THE BIBLE TEACHES US WHEN WE COME TO FAITH IN THE MESSIAH YESHUA IS REPENT. BUT CHRISTIAN DOCTRINE FOR REPENTANCE IS NOT BIBLICAL DOCTRINE FOR REPENTANCE. CHRISTIAN DOCTRINE FOR REPENTANCE REJECTS GOD’S DOCTRINE FOR REPENTANCE WHEN CHRISTIAN DOCTRINE REJECTS GOD’S LAWS, TEACHINGS AND INSTRUCTIONS THAT ARE WRITTEN IN THE LAW OF MOSES THAT ARE NECESSARY FOR REPENTANCE. GOD’S repentance that is taught in The Bible is clear. Turn from all your sins of breaking The Law of Moses, and turn to GOD, Who is Messiah Yeshua, and obey all GOD’S Laws that are written in The Law of Moses. Quite frankly, Christian doctrine for repentance authorizes sinning against GOD. And that’s a problem. And then Peter says, after you have repented, be baptized, or immersed, every one of you in The Name of The Messiah Yeshua for the forgiveness of sins. And you will receive the gift of The Holy Spirit. BIBLICAL REPENTANCE, TURNING TO GOD IN OBEDIENCE TO HIS LAW OF MOSES, ALONG WITH YOUR FAITH IN MESSIAH YESHUA IS VITAL FOR YOU TO RECEIVE THE HOLY SPIRIT. ACTS 5.32. So how did John the Baptist prepare the way for The LORD, The Messiah Yeshua? He prepared the way for The Lord by having the People repent of their sins, the sins of breaking The Law of Moses. He prepared the way for The Lord by having the People turn to GOD, making that all- important decision to obey GOD. To obey His Laws, Teachings, and Instructions that are written in The Law of Moses. And then John baptized them, or immersed them in water. Let’s return to repentance and baptism . VERSE 20 Again, because it is so important, repentance means to turn to GOD, or return to GOD. And the only way to turn or return to GOD is through repentance. Turning away from all your sins of breaking GOD’S Laws, His Law of Moses, and turning or returning to The LORD with all your heart to obey all His Laws that are written in The Law of Moses. The Law Of Moses is written in the first five books of The Bible. The Law of Moses is not the Talmud. And Paul says, those are the works, yes, works that are worthy and necessary for repentance. Obeying The Law of Moses. 2 CHRONICLES 7.14 The word turn in Hebrew as in “Turn from their wicked ways” is SHOOV meaning repent. ISAIAH 55.7 The Hebrew word for return as in “Let them return unto the LORD” is also SHOOV, meaning repent. The only way anyone, Jew or Gentile can turn or return to The LORD is to repent. Not according to church teaching, but according to GOD’S teaching. Obeying GOD’S Torah, His Law Of Moses. Again, let’s return to baptism, or miqveh immersion. Messiah went under water and immediately came out, predicting His Death, Burial, and Resurrection. That is the added feature of baptism or miqveh immersion. Paul teaches that we are baptized into Messiah’s death. We are symbolically buried with Him in water, and raised in His likeness. ROMANS 6.1 Shall we continue to sin? Shall we continue to break GOD’S Law of Moses? GOD forbid. Never, Paul says. ROMANS 6.2 How can we who are dead to sin live in it any longer? We are dead to sin, and we don’t live in sin any longer because we reject sin by turning to GOD and obeying His Laws, Teachings, and Instructions that are written in The Law of Moses. That prevents us from sinning. ROMANS 6.3 So yes, we are baptized into Messiah’s death. ROMANS 6.4 Like Messiah, we are raised up from the dead to walk in newness of life. Newness of life is walking in all GOD’S Ways. Obedient to all GOD’S Laws, Teachings, and Instructions that are written in The Law of Moses. ROMANS 6.5-6 Paul is a strong proponent for not sinning. The church and Messianic Jews should listen to Paul because he knows well that the only way to no longer serve sin is to obey GOD’S Eternal Law of Moses. GODLY repentance and baptism revert back to the baptism or miqveh immersion in the days of the Tabernacle and first and second Temples. You are purified, freed from sin and prepared to execute the service of The LORD. Posted on March 6, 2016 March 6, 2016 Categories Shabbat MessageLeave a comment on BAPTISM IN TABERNACLE AND TEMPLE TIMES.